We believe in building strong relationships based on trust and commitment. Our relationships are built through the interactions with the client, our project managers, superintendents, and all other members of our construction team. We strive, as a company, to follow through on all of the commitment our projects and clients require. Our commitment to the project is the key to building trust and the long term relationships that have been paramount to our success. We feel that relationships are built on open and honest communication. You have to share the good ideas and the problems if you want to benefit from the best possible solutions. Often, the experienced contractor or superintendent in the field has great solutions for those unforeseen items. A project with open communication creates a better work environment for all of us. 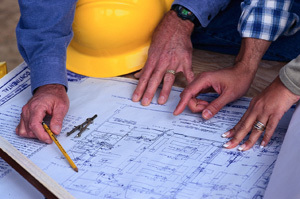 Dugan Building Company is dedicated to helping clients meet their budget goals. 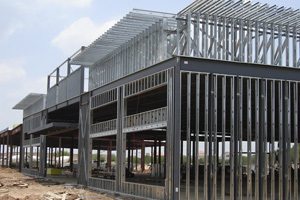 Whether we help in value engineering or strive to find more cost efficient construction techniques, we understand the demand for a well budgeted project. Another cost management tool that the DBC team has at its disposal is cost predictability. We try to anticipate any unforeseen items early in the project and communicate these issues to our clients immediately, addressing possible future costs. Just like cost predictability, schedule predictability is very important. There is always a driving reason for finishing on time, whether it’s meeting the mall grand opening date, corporate executives coming in from out of town for opening day, or finishing a school before students return from summer vacation. We recognize the great importance of finishing a project on time and we do everything necessary to do so. Delivering a quality project is top on our list. Understanding the client’s expectations up front is something that Dugan Building Company always takes the time to do. We take all measures necessary and pride ourselves in delivering a high quality finished product.